A global leader in the pet industry, Caitec is committed to maintaining a spirit of giving back as part of our culture and values. Just like we care about your pets, we also care deeply about the communities that we live and work in. Our responsibilities and our commitment take many forms. Learn about how we’re impacting the world around us. In May 2016, Caitec created Hero 4 Warriors as a way to give back to men and women in uniform by funding a worthy veteran cause that also has a canine component. As part of the Hero dog toys cause-related efforts, Hero 4 Warriors supports K9’s For Warriors, an American charity and veterans service organization that provides service dogs to veterans. K9s For Warriors is dedicated to providing service canines to warriors suffering from Post-Traumatic Stress Disorder, traumatic brain injury, and related injuries as a result of military service post-9/11. Its goal is to empower the veterans to return to civilian life with dignity and independence. 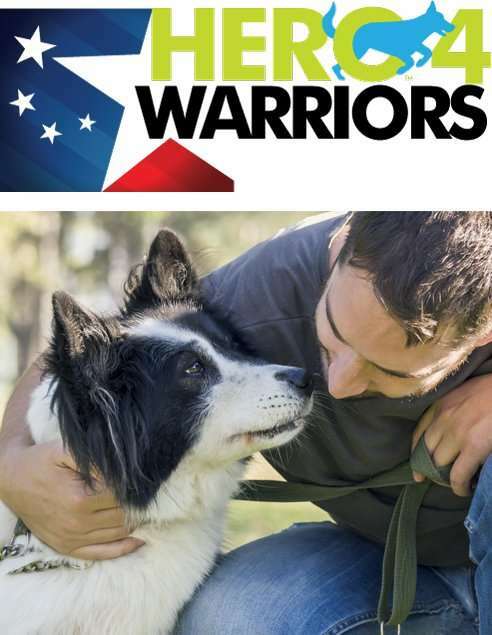 With your purchase of Hero dog toys from Caitec, you are helping us grow the Hero 4 Warriors cause, and in turn, helping to support K9 For Warriors with their efforts in aiding veterans nationwide. For more information on K9 For Warriors, visit www.K9forwarriors.org, or a special guide of how to afford a service dog.